Small intestinal bacterial overgrowth (SIBO) has been documented in the literature for over 50 years, yet the focus on this condition seems to have increased considerably over the last 10 years. Many patients are looking towards SIBO as a name for their chronic, often dismissed functional digestive complaints and as a result, practitioners are searching for more information on how to understand, diagnose and treat SIBO in clinical practice. This article aims to give a brief overview of SIBO for those who are new to working with this condition and may offer new pieces of information to those who are experienced. 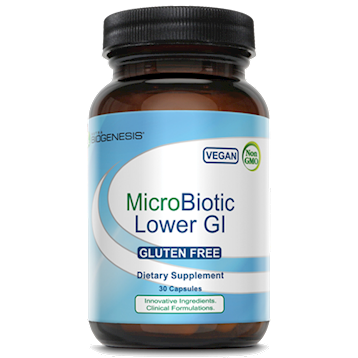 It is well known that the amount of microbial growth varies in the different parts of the gastrointestinal tract, with the stomach having the lowest microbial level and the colon having the highest (exceeding approximately 1014 CFU/mL). While the consensus of the diagnostic criteria for SIBO has yet to be determined, the standard and most often used definition of SIBO is that the quantity of the bacteria in the duodenum exceeds 105 CFU/mL (though this number may differ depending on the paper you read). It should also be noted that GI symptoms can be present with less than 105 CFU/mL of bacteria in the small intestine. Unfortunately, there is no typical presentation for SIBO. It is likely SIBO is underdiagnosed and therefore the accurate rate of occurrence is not known. It has been shown to be more common as people age, which may be due to the decrease in natural defenses to SIBO (for example, a decrease in gastric HCL acid production). The most common symptoms are shown in figure 1. As SIBO can be asymptomatic or often mimic other disease states, defining SIBO by symptoms is not recommended. There is no validated symptom questionnaire currently for SIBO and it is not recommended to diagnose on clinical symptoms alone. 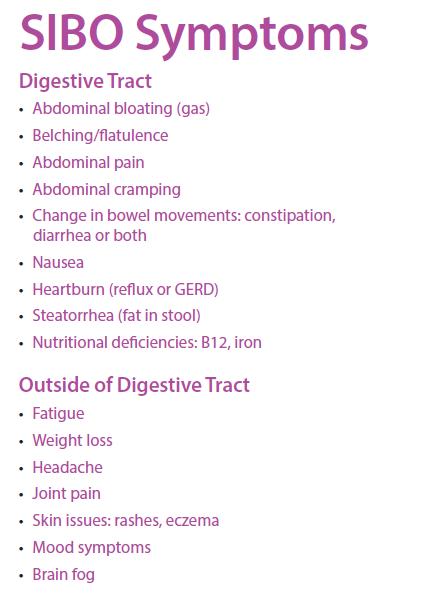 SIBO should be suspected in anyone who has a malabsorption syndrome or has one of the predisposing conditions or presents with IBS-type symptoms2. In the last 20 years, there have been many studies looking at the correlation between IBS (irritable bowel syndrome) and SIBO. However, these results have been called into question. Another meta-analysis concluded that the presence of SIBO in those who also met criteria for IBS ranged from 4-64% depending on which diagnostic parameters were used. The Rome consensus believes that breath testing for people with IBS is unwarranted. SIBO often presents as abdominal bloating, abdominal pain, constipation and/or diarrhea, which can also be found in patients with IBS, leading clinicians to wonder if SIBO may be the diagnosis many of their IBS patients need. However, not all IBS patients have SIBO and therefore evaluating for SIBO may be a means for differential diagnosis. Currently, there is no consensus on the diagnostic criteria for SIBO1. This has offered obstacles to clinicians with the various options all having certain limitations. The three main ways SIBO is diagnosed clinically are: (1) jejunal aspirate, (2) breath testing and (3) response to treatment with antibiotics. It is thought that combining two of these methods offers a more robust approach1. The gold standard for diagnosing SIBO is the jejunal aspirate. This method is rarely performed as it is invasive, costly and will only sample one part of the small intestine—not evaluating distal small intestine overgrowth. Also, the removal and culturing of bacterial samples from this part of the intestine, which contains both anaerobic and aerobic bacteria, is difficult. The “response to antibiotic treatment” method of diagnosis is not recommended due to inherent risk with antibiotic use (i.e., the rise in antibiotic resistance and possible negative outcomes of antibiotic use such as C. difficile). Also, the fact that the symptoms are very non-specific means they may not warrant an antibiotic at all. The breath test is the most common and widely used test to determine if SIBO is present. There are two main forms of this test—glucose or lactulose—depending on the substrate used. The patient consumes the substrate and then hydrogen (and often methane) is measured in the expiration. The use of this for diagnosing SIBO is based on the fact that the human body does not produce these gases in high amounts normally. Having bacterial overgrowth in the small intestine results in fermentation of carbohydrates and production of hydrogen and/or methane gas. The difference in use between glucose and lactulose as a substrate is a debatable topic. Glucose has been shown to have higher specificity and sensitivity: 62.5 and 81.7%, respectively1. The drawback to using glucose that it is absorbed higher up in the small intestine, therefore possibly not detecting overgrowth in the distal small intestine. Lactulose is chosen by some to avoid the early absorption. However, lactulose has a lower sensitivity and specificity and may lead to higher false positives. One test compared lactulose breath test to the jejunal aspirate and the sensitivity was 52.4% with a specificity of 85.7%. At this time, the breath test is the most economical and least invasive and is the go-to for most clinicians diagnosing SIBO. In the future, there hopefully will be more clarification and improvement in SIBO diagnosis. The Rome consensus on hydrogen breath testing came to the conclusion that it is safe and economical with the glucose test providing fairly good diagnostic accuracy5. They do, however, also recommend breath tests be interpreted with caution and always take into account the patient’s history. It is in the patient’s’ best interest that the person interpreting SIBO breath tests be experienced in the combination of evaluating symptoms in connection with the gas levels. The current consensus on cutoff for SIBO diagnosis via breath testing is: >10-12ppm of hydrogen gas within 90 minutes or greater than 15 minutes before the prolonged peak when the substrate enters the colon4. Although the Rome consensus does not support the testing of methane gas for diagnosis of SIBO, other authors and clinicians find this helpful and logical as not all bacteria ferments and produces hydrogen gas (such as Staph aureus, strep viridans, enterococci, serratia and pseudomonas)1. The current recommendation for identifying a positive methane test is >3ppm of methane gas at any point in the test or an elevated baseline of methane. According to a review by Gabrielli, most authors show >15 ppm of hydrogen at the 120 minute-cutoff for the glucose breath test and a methane criteria is >5 ppm or 10 ppm above baseline2. SIBO can be hydrogen dominant, methane dominant or mixed. Hydrogen dominant SIBO is most associated with diarrhea, while methane dominant is most associated with constipation. It has been shown that methanobacterium archaea actually slows motility, which can explain this phenomenon. Based on the types of gases present, treatment of SIBO does change. Ultimately, when treating SIBO, attention should focus on addressing the underlying cause which brought on the SIBO. There are times this cannot be done in terms of structural issues, such as short bowel or scleroderma, which can predispose to SIBO indefinitely. The body has many innate mechanisms that prevent the overgrowth of bacteria in the small intestine. These include: gastric acid, biliary and pancreatic secretions, peristalsis and the migrating motor complex and the ileo-cecal valve. The disruption of these activities is thought to allow for SIBO to occur and therefore, restoring them to proper functioning is one goal of treatment. Issues such as weight loss, fat-soluble vitamin deficiency, B12 deficiency, iron deficiency and low levels of serum bile acids and RBC folate have all be found to be consequences of SIBO1. It is imperative to supplement with appropriate nutrients until SIBO has been controlled. The treatment of SIBO can be broken down into various components: reduction of the overgrowth, implementation of diet changes to control overgrowth, improvement of gastrointestinal motility and replenishing/healing the gastrointestinal tract. The conventional treatment of SIBO is the use of antibiotic pharmaceuticals. The most recent reviews indicate rifaximin as the safest and most effective6. Many patients respond to this medication if they are hydrogen dominant. The dose is 550 mg three times daily for 2 weeks. It is a locally absorbed antibiotic and therefore has less occurrence of systemic effects. That being said, it still can disrupt the gastrointestinal microbiota and has been documented to have caused, albeit rarely, issues such as C. diff. One deterrent to this choice is that if insurance does not cover this medication, it can be thousands of dollars out of pocket. Currently the FDA only approves rifaximin for hepatic encephalopathy or IBS-Diarrhea type. If the patient has both hydrogen and methane gas present, then a second antibiotic has been shown to be more effective. The one most often used in conjunction with rifaximin is neomycin at 500 mg twice daily. Though shown to have minimal adverse events in the SIBO studies, this medication has various side effects which should be considered prior to prescribing. There are other options for a second antibiotic, such as metronidazole. Drs. Siebecker and Sandberg-Lewis, naturopathic doctors out of Portland Oregon’s SIBO Center, determined a course of antimicrobial herbs to address SIBO. According to their 2013 Townsend letter article, the herbal anti-microbial option includes Berberine, allicin (an antimicrobial extract from garlic), oregano oil and/or neem. These are used for a longer course than the pharmaceuticals, but are reported to have similar efficacy in reducing gas levels. There was one study that looked at the comparison of herbal antimicrobials (in combination formulas) to rifaximin in the eradication of SIBO . It was found they were as effective as rifaximin and even some non-rifaximin responders had SIBO resolution after starting the herbal protocol. There was no significant statistical difference between rifaximin and herbs. Side effects were not statistically significant between the two treatment groups, but the types of side effects were more severe with rifaximin. The limits to this study include that: (1) diet was not controlled, (2) it was retrospective and (3) there was no formal standardized questionnaire to look at symptom resolution. Overall, this does indicate that SIBO may be able to be targeted by herbal antimicrobials. There has been discussions on whether eradicating a biofilm can help improve SIBO treatment and according to discussions at recent SIBO Symposiums, this has not been seen clinically. Theoretically, it may be helpful with methane dominant cases as those archaea do form biofilms. In terms of different treatments, allicin has been reported as being more effective for methane cases, which likely stems from studies on rumen using allicin products to reduce methanogenesis. One dietary therapy to reduce bacterial levels is a liquid elemental diet followed for 2-3 weeks. 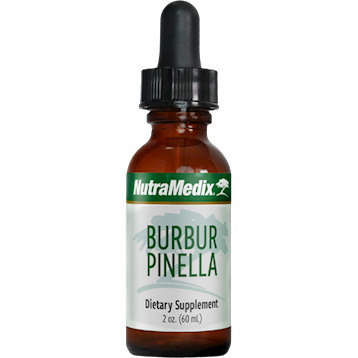 This provides all the essential nutrients and amino acids, but is absorbed within the first few feet of the intestine, essentially starving the fermenting bacteria in the small intestine. Clinical success is seen with this method6, but should be considered on a case-by-case basis. It should not be considered in those who are already low in weight or have blood sugar stability issues. After the bacteria have been reduced, a repeat breath test or symptom evaluation will determine how successful treatment has been. If symptoms are 90% better, the next step will be prevention of recurrent SIBO. If symptoms are still present after the appropriate time on antimicrobials, a repeat breath test may be helpful to determine how much the levels have changed and then influence the prognosis and length of treatment. Diet alone is not sufficient to treat SIBO initially and needs to be paired with antimicrobial treatment. SIBO has a high rate of recurrence, as much as a 40% recurrence even after successful treatment1 but there are ways to manage SIBO symptoms and control bacterial growth with diet. There is no diet that is 100% effective at managing symptoms of SIBO and diet needs to be tailored to the individual. Low-carbohydrate diets commonly used for SIBO include Specific Carbohydrate Diet (SCD), SIBO Specific Diet (by Dr. Siebecker), Low FODMAP, GAPS, Cedar Sinai and Fast Tract Diet. However, none of these diets have been studied for effectiveness with SIBO. These diets are all low carbohydrate and should be used with caution in people at low weight. Highly restricted, low-carbohydrate diets such as those listed above can help in the short term during and after the treatment phase to help prevent recurrence but should not be continued indefinitely. The next aspect that can contribute to the onset of SIBO, as well as recurrence, is an issue with intestinal motility. The migrating motor complex (MMC) is the movement of the small intestine which sweeps bacteria through and prevents buildup of bacteria. Since it was discovered that humans have an MMC like animals, its dysregulation has been implicated in the overgrowth of bacteria in the small intestine. Using prokinetic agents can be very important in treating SIBO. Pharmaceutical prokinetic agents such as very low dose erythromycin are available as well as herbal options. Ginger, which has prokinetic qualities, can also help reduce some of the uncomfortable symptoms of SIBO. The MMC is active during fasting states and is stopped by feedings, therefore encouraging meal spacing every 4-5 hours is recommended. When SIBO is present, it is thought this disrupts the lining of the small intestine, which then minimizes absorption of certain nutrients. After the bacterial overgrowth has been resolved, the small intestinal lining should heal itself. However, additional support with glutamine can be helpful. Be aware that when SIBO is still present, the use of gut healing mucilaginous herbs may not be advantageous as they contain complex polysaccharides that can feed the offending bacteria. The last aspect I have seen necessary clinically has been working with patients to reduce stress and adrenal imbalance as SIBO can take a toll on the body both physically and emotionally. 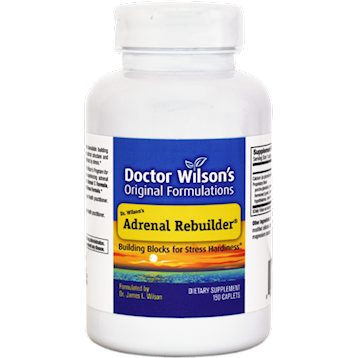 I often utilize adaptogen herbs here, after completing a salivary cortisol test. People who have SIBO do not feel well and frequently are told there is nothing concrete to be done. For these people, addressing stress and the gut-brain connection can be quite important and enhance their healing process. As SIBO became a more prominent differential diagnosis for functional gastrointestinal disorders, more and more studies started to shed light on the correlation of small intestinal bacterial overgrowth and other conditions. Therefore, SIBO may also be worth evaluating with those conditions. As more information is unveiled regarding the connection between the gut microbiota and systemic health issues, SIBO will likely be further implicated. SIBO is a complex condition to treat with new information being uncovered regularly. Treatment should be individualized to take into account the person’s symptoms and mental/emotional state and include a diet that is therapeutic but not nutritionally deficient. SIBOinfo.com has studies related to SIBO in all capacities organized by the year they were published. There are many conferences and symposiums dedicated to SIBO as well. The SIBO Symposium is held at National University of Natural Medicine yearly, and there are more being created regularly in order to discuss this complex and emerging issue. Grace E, Shaw C, Whelan K, Andreyev H. Review article: small intestinal bacterial overgrowth – prevalence, clinical features, current and developing diagnostic tests, and treatment. Alimentary Pharmacology & Therapeutics. 2013;38(7):674-688. doi:10.1111/apt.12456. Gabrielli, M., et al. “Diagnosis of small intestinal bacterial overgrowth in the clinical practice.” Eur Rev Med Pharmacol Sci 17.Suppl 2 (2013): 30-35. Yamini D, Pimentel M. Irritable Bowel Syndrome and Small Intestinal Bacterial Overgrowth. Journal of Clinical Gastroenterology. 2010;44(10):672-675. doi:10.1097/mcg.0b013e3181ef3476. Ford A, Talley N, Spiegel B, Moayyedi P. 1054 Prevalence of Small Intestinal Bacterial Overgrowth in Irritable Bowel Syndrome: Systematic Review and Meta-Analysis. Gastroenterology. 2009;136(5):A-161-A-162. doi:10.1016/s0016-5085(09)60727-7. Rezaie A, Pimentel M, Rao S. How to Test and Treat Small Intestinal Bacterial Overgrowth: an Evidence-Based Approach. Current Gastroenterology Reports. 2016;18(2). doi:10.1007/s11894-015-0482-9. Sandberg-Lewis S. SIBO: Dysbiosis Has A New Name. The Townsend Letter. 2015;(Feb/March 2015). Available at: http://www.townsendletter.com/FebMarch2015/sibo0215.html. Accessed May 11, 2017. Pimentel M, Chang C, Chua KS, et al. Antibiotic treatment of constipation-predominant irritable bowel syndrome. Dig Dis Sci. 2014;59:1278–85. Siebecker A, Sandberg-Lewis S. Small Intestine Bacterial Overgrowth: Often-Ignored Cause of Irritable Bowel Syndrome. Townsend Letter. 2013;(February/March 2013). Available at: http://www.townsendletter.com/FebMarch2013/ibs0213.html. Accessed May 11, 2017. Chedid V, Dhalla S, Clarke J et al. Herbal Therapy is Equivalent to Rifaximin for the Treatment of Small Intestinal Bacterial Overgrowth. Global Advances in Health and Medicine. 2014;3(3):16-24. doi:10.7453/gahmj.2014.019. McAllister T, Newbold C. Redirecting rumen fermentation to reduce methanogenesis. Australian Journal of Experimental Agriculture. 2008;48(2):7. doi:10.1071/ea07218. Vantrappen G, Janssens J, Hellemans J, Ghoos Y. The Interdigestive Motor Complex of Normal Subjects and Patients with Bacterial Overgrowth of the Small Intestine. Journal of Clinical Investigation. 1977;59(6):1158-1166. doi:10.1172/jci108740. Siebecker A. Associated Diseases. SIBO- Small Intestine Bacterial Overgrowth. 2017. Available at: http://www.siboinfo.com/associated-diseases.html. Accessed May 11, 2017.